Mr. Bowman joined TMWA as Financial Controller in 2017 and oversees Accounts Payable, Payroll and the general accounting function for the organization. Mr. Bowman is also responsible for preparation of TMWA’s Comprehensive Annual Financial Report (CAFR). Mr. 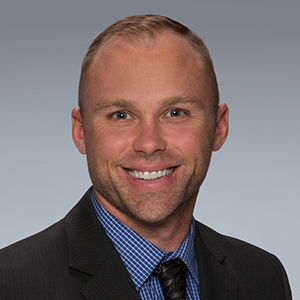 Bowman, a Certified Public Accountant, graduated from the University of Nevada, Reno in 2009 with a Bachelor’s degree in Accounting. He began his career in Reno with the Public Accounting firm, Grant Thornton, LLP. After receiving his CPA license, Mr. Bowman went to work for Gradient Resources, a geothermal energy producer, as Accounting Manager, then most recently Klondex Mines Ltd. Mr. Bowman began his career at Klondex as Accounting Manager, then was promoted to Operations Controller and finally Corporate Controller.